A compelling alternative to traditional veneer products, Miro harnesses the precision and durability of mitered steel with the superior performance of modern laminate technology to create a furniture line that articulates a fresh vision for modern professional work environments. Designed to resonate with a new generation of leaders, Miro results in an unmistakable feeling of longevity and style to meet the highest standards for active, collaborative and beautiful workspaces. At the core of the Miro product line is the fundamental belief that furniture should not dictate a specific way of working, rather it should respond to individual and organizational work preferences. The newest components of the collection are designed to encourage movement by allowing users to work at multiple heights through adjustable worksurface or a range of table heights. Each of the freestanding components are inherently flexible and designed to perform as a simple kit of parts. 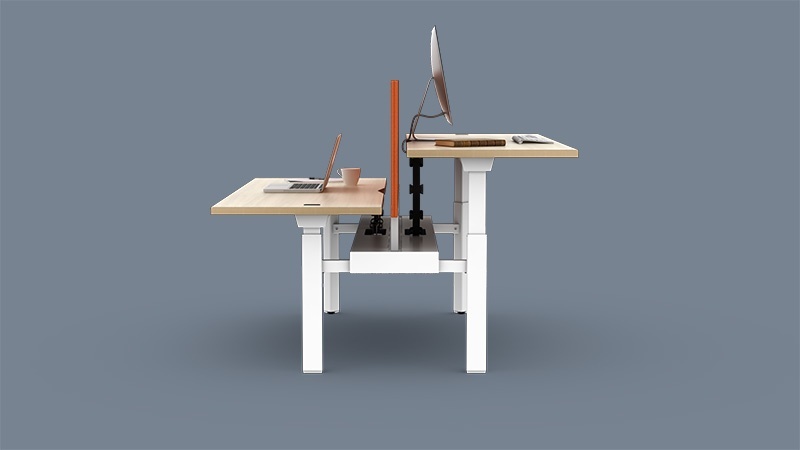 The Miro Workbench leverages an integrated design to create a cohesive system of height adjustable workpoints with integrated power delivery, privacy and cable management. Sensible product features support open and collaborative environments as well as heads down stations.